According to the MIIT report, the net increase of telephone users nationwide was 4.976 million, bringing the total number up to 1.501 billion. Driven by 3G technologies, the number of mobile phone users increased by 6.157 million in January, making it 1.235 billion in total nationwide. 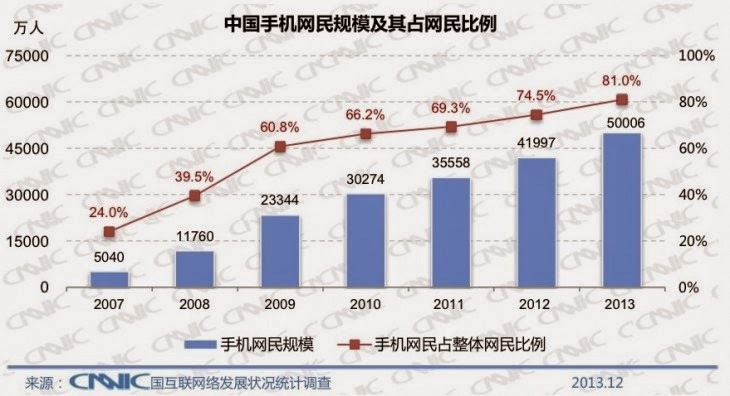 Which means Chinese mobile Phone usage now total 1.23billion .. in April 2014.